You have a new Canon camera to begin (or continue) your filmmaking journey! At some point, you’ve probably asked yourself the all-important question: what is the best Canon lens for video? This is a great question, because there are a lot of options. And we hear a lot of people asking variations of what is really the same thing: what is the best DSLR lens for video; what is the best wide angle lens for video; what is the best Canon prime lens for video? It depends on your vision and your budget. So instead of providing simply a general “best of” list, this will be an education on how to find the best Canon lens for your video (and provide some recommendations). By the end of this, you will know everything you need to shop with confidence and ensure the money you spend gets the results you want. We’ll cover two crucial categories and sprinkle in some recommendations to check out as well. We’ll first preview what we believe are the best canon lenses for video, and then the second part of the article will be more of an education on selecting and buying a Canon lens. Throughout, we’ll add perspective on each particular situation in which you might need a lens change. And, from there, we’ll provide our recommendations for each scenario and back it up with data points along the way. What can we say about this workhorse of a lens? 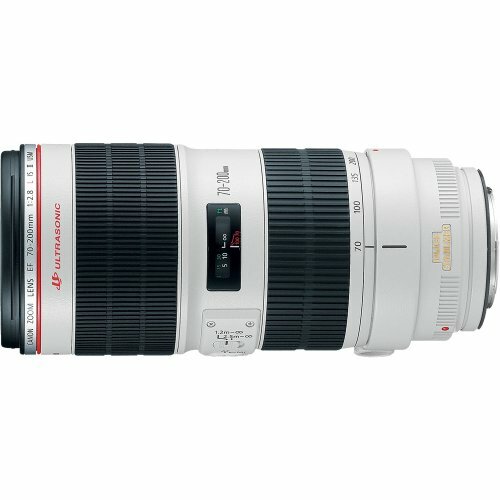 It’s considered by most in the know as one of the best Canon lenses of all time. And rightly so. Whether you’re shooting corporate/commercial setups, or walking around at weddings or other event filming situations, this is a workhorse of a lense that is good in a whole range of situations. Put it on a full-frame camera (like the 5D Mark ii or Mark iii), or a CMOS like the Canon C100, and you have a piece of kit that won’t let you down in pretty much any situation. This is another beast of a lens. When your 24-70mm hasn’t quite got that reach you need, in comes the ever-reliable 70-200mm 2.8. 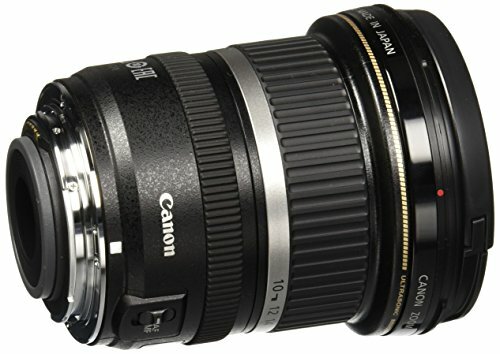 Long held as one of the very best video zooms out there, like the 24-70mm, this lens offers superior Canon L glass and goes two-to-two with any other telephoto zoom out there. Corporate/commercial setups, especially interviews with people and even closeups on factory machine when you can’t get too close physically. Event filmmaking when you want to punch in on something. Especially good for low light church situations when you’re filming a wedding and you can’t get too close to the bride and groom. Sports videography situations. Get in close to the action! For video purposes, the “nifty fifty” is a perfect lens for wide shots and even two-shots (two people talking, for example). Size and weight wise, it, naturally, blows away its big brother (the 1.2 and 1.4). Unless you’re looking to get extreme with your bokeh, or you’re a professional war photographer, the 1.8 STM is Canon’s best 50mm. Best uses for the 50mm? Two shots of people talking. If you do photography too, you’ll have a whale of a time with this lens! Okay, so I know what you’re thinking: that maximum aperture doesn’t look like it’ll be too frisky in low-light conditions? And you’d be right. 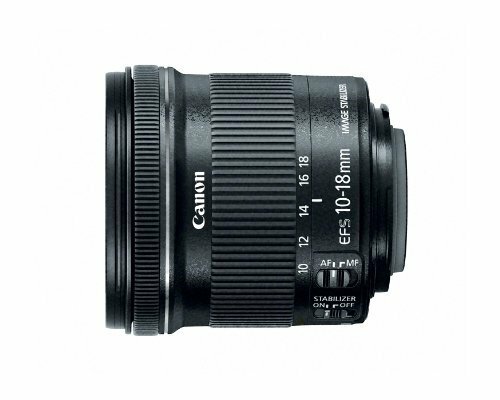 What the Canon 10-18mm is, though, is a fantastic wide angle lens that offers great image stabilisation and works great hand-held. It’s also very affordable. So what would you use this lens for? Establishing shots, where you show a building/area where your next shots are taking place. Some architectural stuff looks cool this wide, too. 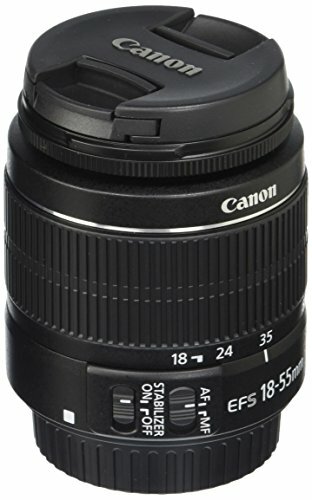 This Canon lens is a step up from it’s little brother, the Canon EF-S 18-55mm f/3.5-5.6. The build quality is really good and the image stabilization makes this a solid lens for shooting interviews. The USM (Ultrasonic motor) in this beast is real quiet (in fact near silent) which is great for filming interviews and avoiding any distractions to your subject. Although it’s also a solid walk-around lens that benefits from pretty good low-light performance. We are going to use this as an example to break down the naming convention into a series of questions you should ask yourself about your filmmaking needs. Do I have a Full Frame or APS-C camera? What needs do I have for my video in terms of focal distance? The next numbers (24-70mm in this example) provide the focal length and depth of field. A single mm number means this is a prime lens, in focus only on subjects at specific distances. It can be a cheaper option if you expect a fixed distance all the time (like if you only plan on doing interviews all from the same distance). Range — like the one above — shows the range at which the lens can be focused on the subject. If you are looking for best wide angle lens, look at focal lengths under 35mm (good for capturing wide expanses like landscape nature shots). If you are needing to film from a distance, look for over 70mm (again great for nature if you are needing to focus on something at a distance). For those long zooming shots that used to be more popular (finding your protagonist in a huge crowd), make sure the lens range supports that shot! What are these other letters? Other letters will follow the focal length. When it come to the “best Canon lens” — really the “best” anything — it’s a safe rule of thumb that higher quality means higher price. Identified with gold lines; better than Silver at higher price points. Also note: the low focal distance, this is a wide-angle lens for some expansive shots; maybe you have a mountaintop wedding to film? Identified with red stripes and the “L” designation in name; highest quality and highest price points; if you are looking for long-term relationship with your lenses (which most filmmakers and photographers have) this is the place to look. The Canon EF mount is a thing of beauty. In recent times, the Canon EF mount has come to mean a lot for filmmakers and videographers because of its consistency and versatility. Blackmagic Cinema Camera has an EF mount version. 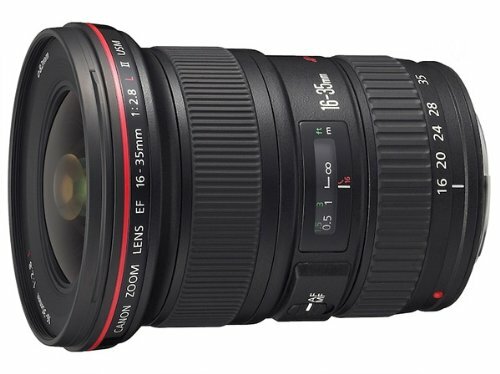 As mentioned earlier in the article, the Canon L series lenses are seen as the most premium of all Canon lenses. 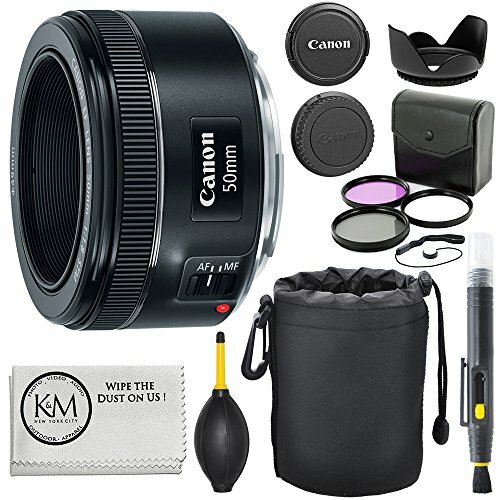 Canon have designed these lenses to be the most superior and top quality lense builds they manufacture, and their price point proves this. Being a higher-end type of lens, Canon L glass (like any well-made lens) will follow you through your professional career, even as you change camera bodies. Yes, it’s true: a good lens, well looked after, will last much longer than a camera body that normally has a certain half-life of use. Manual focus or Auto focus? This is a question that crops up regularly, especially asked by less experienced videographers and filmmakers. To autofocus or not, that is the question? First, a little bit of history. As auto focus lenses became faster and more efficient due to digital technology, manual lenses were getting very out of fashion. Photographers, especially, would readily favor an auto focus lens over a manual one. However, as HD video with DSLRs became more common place in the last 10 years, all of a sudden manual focus lenses are back on the rise. With manual focus, filmmakers get a more precise focusing option, which is great for video work. Also, the ability to change the focal point of the shot whilst shooting (aka ‘rack focus‘) has become an option, which obviously benefits what filmmakers can do with their films. You’ve invested a lot of money in your kit. So you’ll want to make sure it lasts. Your lenses, especially, are potentially very expensive and broken lenses, or lenses full on fungus, are costly to repair. Put a filter on your lense the minute you get it. Keep your lens cap on when you’re not using it, when changing lenses or when it’s just sitting there whilst you’re doing something else. Get into the habit of putting your lens cap on! Get insured for your equipment, especially expensive lenses. Are there other lenses to shoot video besides Canon? There are, of course, other lense manufacturers out there. Nikon makes solid glass, but it tends to be photographers who prefer Nikon and videographers who prefer Canon. 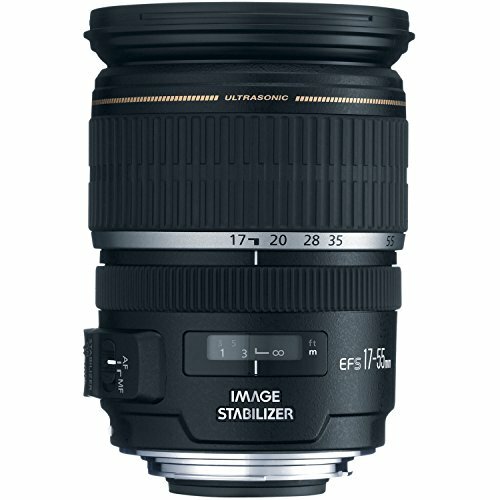 Sigma and Tamron make a lot of great video lenses that are often seen as budget versions of the more expensive Canon lenses (especially L glass lenses). And then there’s the lesser known manufacturer Rokinon, which is quickly growing in popularity over the last 5 years as a quality manufacturer of filmmaking lenses. Rokinon are actually an off-shoot of the well known Samyang lens company. Rokinon make a great set of cine prime lenses that are great for filmmaking. Now you have the knowledge to shop with confidence as you build your arsenal of lenses for your filmmaking needs. If you are just starting out and playing around, I would not jump into the high-end stuff. Consider buying a camera kit and seeing what you can do with the included lens. Don’t forget, though, that sometimes the best Canon lens for video is the lens that you have with you. If you are more serious and your budget allows it, lenses can make a huge difference in video quality, and you do get what you pay for. A higher-end lens is an investment that will follow you through your career, even as you cycle through cameras. Excellent explanation, thank you very much!!! Thank you so much for the information above. 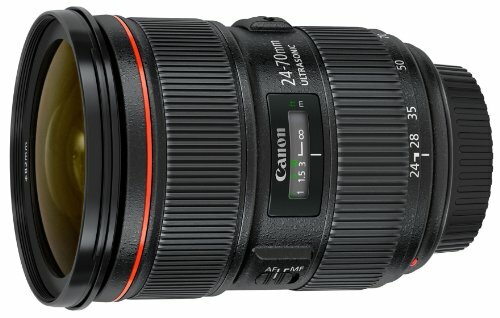 Could you tell me the configuration of the camera in the first example video (CANON EF 24-70MM F/2.8L II USM). It didn’t lost focus anytime. I have the same lenses but a canon eos rebel t6i and I have difficult to keep the focus in my subjects when I am doing videos. As for the camera configuration, I’m not sure exactly as it’s not my video. The description does mention that it’s a Canon 5D Mark II.